Today we attended the Festa da Semente, an event with a seed exchange market and entertainment, organised by Sara and her friends from Aldeia das Amoreiras. A wonderful day to celebrate and meet many friends from the region. 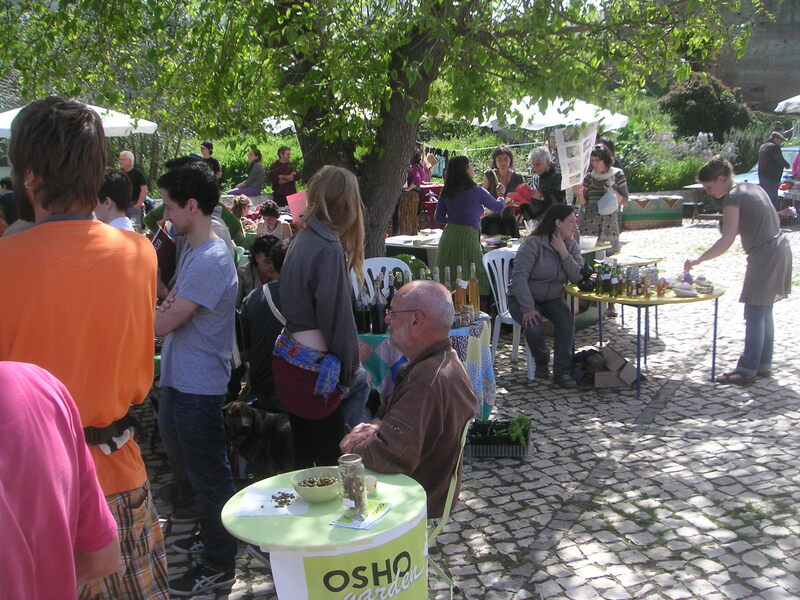 In the picture also our new participant Rob from Holland, sitting at the Osho Garden table where we presented our olives and some seeds. 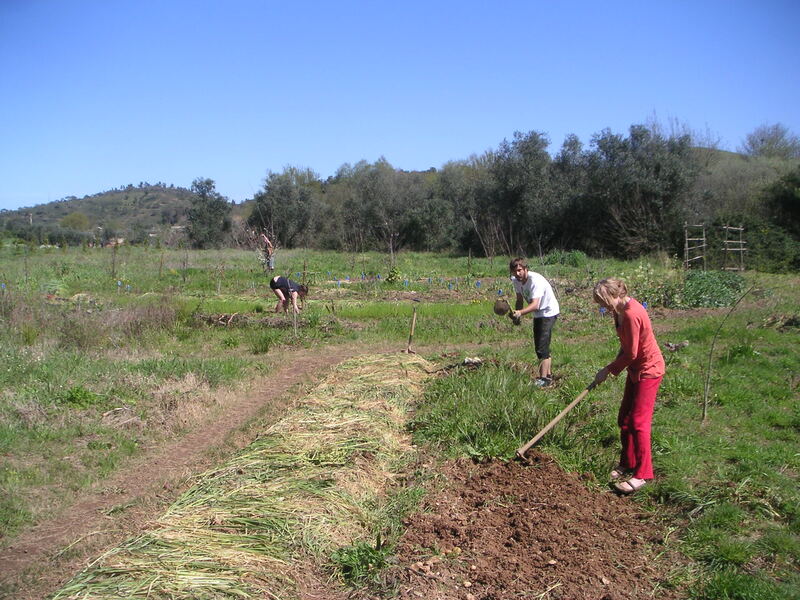 Looking for a placement in Permaculture? Do you have experience with organic gardening and look for a place to live and practice your skills, growing your own food? 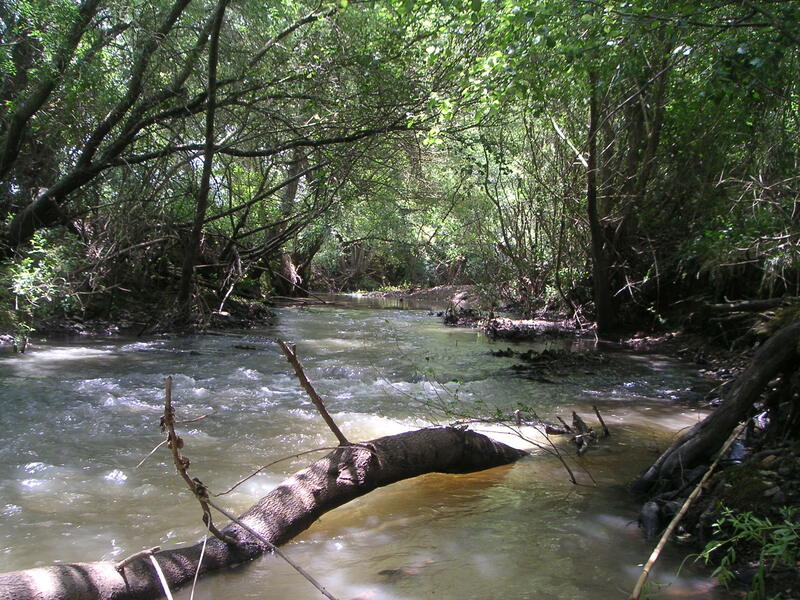 We are looking for a couple who want to maintain and improve the garden of our riverside property in Saboia. Accommodation in a caravan with shared use of all community facilities. Conditions: No rent, only sharing in the cost of what we cannot produce in the garden. Satsavya is visiting these days, working in the garden here next to Vytas from Lithuania who arrived recently with Daiva and their son Elnis. In this picture also Made and Girts from Latvia. We made some changes in the schedule, adding a daily afternoon workshop, presently on vision relaxation. Participation is not offered on wwoof conditions anymore, it is on cost sharing basis from now on.